Coming in the backdrop of a worsening sovereign debt crisis in Europe and a political standoff in the US over debt and taxes, the Durban global conference on climate change does not inspire much hope, with top leaders, including US President Barack Obama and Prime Minister Manmohan Singh, staying away. Only the heads of government of some African countries are present at “COP17” as the 17th conference of the parties to the UN convention on climate change is called. It is unfortunate that water disputes between states are time and again exploited by parties to whip up public sentiment for political ends. In the process, rationality becomes a casualty. The sensitivity that such disputes reflect is precisely why they should be decided without the glare of publicity but state governments find it expedient to fan regional sentiments. Egyptians exercised their right of franchise on Monday for the first time in an atmosphere free from fear of any kind. Enough enthusiasm to have a democratic set-up could be seen in the large turnout of voters at most places. They did cast their votes earlier too during the Hosne Mubarak era, but the result was a foregone conclusion. The elections were rigged and Mubarak was declared the winner. Now no one can be sure who the winner will be. Parliament is debating the issue of the Cabinet decision on multi-brand foreign direct investment (FDI) in the retail market in cities with a population of one million persons and above. Direct investment in economic reckoning is labelled as good investment because it is stable investment and better than the fly-by-night kind — portfolio investment which is liberally allowed in our stock markets. The FDI is considered good investment because it goes, if not wholly, at least partly into the creation and development of infrastructure and cannot be taken out easily. The investor gains and suffers with the economy of the host country and has, therefore, interest in the growth of the economy. Last year I decided to go to Thailand on a pleasure trip during my winter vacation. I along with my wife, with a distinct and ecstatic feeling of going abroad for the first time, reached the international airport well before the scheduled departure time of our flight. I got busy in currency conversion formalities at one of the counters there in the lounge of the airport itself. Finding the value of my currency almost at the bottom of the digital display board, showing the respective values of currencies of different nations, I felt disappointed and got curious as to what made the value of our rupee even lower than the currency of a tiny nation like Thailand. Eye is a complex and sensitive organ that allows us to receive, process and understand images with the help of special sensors in the brain. The signals that reach the eye travel through the focusing elements in the front of the eye, the image is formed on the sensitive nerve layer on the back of the eye called the retina, and are carried to the brain by the optic nerve. Damage to any part of the eye can decrease the vision. 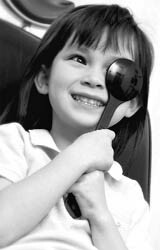 Childhood glaucoma refers to the presence of glaucoma in a child. Congenital glaucoma is the common term used for a glaucoma diagnosed in infancy or early childhood. It is also called infantile glaucoma. Coming in the backdrop of a worsening sovereign debt crisis in Europe and a political standoff in the US over debt and taxes, the Durban global conference on climate change does not inspire much hope, with top leaders, including US President Barack Obama and Prime Minister Manmohan Singh, staying away. Only the heads of government of some African countries are present at “COP17” as the 17th conference of the parties to the UN convention on climate change is called. Unlike last year’s Cancun (Mexico) conference, which produced a pact to set up a fund to help poor countries adapt to climate change and evolve mechanisms for the transfer of clean-energy technology, the Durban negotiations remain a low-key affair. Some 20,000 delegates from 194 countries meeting in Durban, South Africa, from November 28 to December 9 will try to save the Kyoto protocol, which is the only legal regime mandating emission cuts by industrialised countries. The protocol is set to expire in 2012 unless the negotiators reach a pact to extend its period. China, Brazil, South Africa and India favour its extension. Some major countries, including Canada, Russia and Japan, are reluctant to see a second protocol through and are reneging on emission targets and climate-change financing. The Kyoto protocol, they feel, has made the industrialised countries cut CO2 emissions, while leaving the developing countries out from any commitment. The US is not even a party to the Kyoto protocol and has refused to ratify it because of what it calls “asymmetrical obligations”. Backed by China and Brazil, India has taken the stand that the climate summit should work on providing equitable access to sustainable development, technology transfer and unilateral trade measures. India and China are under pressure to agree to a binding commitment on emission cuts. The fate of the talks remains uncertain. The 15-member Indian delegation is led by Mr J.M. Mauskar, a special secretary in the Environment Ministry, while minister Jayanthi Natarajan will join them later. It is unfortunate that water disputes between states are time and again exploited by parties to whip up public sentiment for political ends. In the process, rationality becomes a casualty. The sensitivity that such disputes reflect is precisely why they should be decided without the glare of publicity but state governments find it expedient to fan regional sentiments. The recent uproar over the Mullaperiyar dam issue between Tamil Nadu and Kerala is a case in point. Kerala has been persistently arguing that the 116-year-old dam poses a dire threat to lives and properties of over three million people in five Kerala districts. It has been pointing out that with the increase in inflow into the reservoir taking the storage level beyond the maximum permissible limit of 136 feet, the dam’s safety stands jeopardized, endangering the lives of people. Otherwise at daggers drawn, the ruling Congress-led UDF and Opposition LDF made common cause recently when they jointly organized a shutdown in Kerala’s Idukki, protesting Tamil Nadu’s stand over the Mullaperiyar issue and Centre’s “reluctance” to mediate on it. While Kerala has been demanding that a new dam be built in place of the old and endangered Mullaperiyar dam (recent tremors are cited as cause for concern) it wants the water level to be lowered to 120 feet till the new dam is built. Both these are unacceptable to Tamil Nadu which is water-deficient and depends heavily on water from the dam for six of its districts. Recently, Tamil Nadu Chief Minister J Jayalalithaa escalated the dam controversy by writing to Prime Minister Manmohan Singh imploring him to intervene to get Kerala to stop pushing for a new dam. The letter said the retrofitted Mullaperiyar dam was safe and was functioning well. While it is incumbent upon the Centre to settle the issue of the safety of the dam through a dispassionate study by a team of independent experts, the AIADMK government in Tamil Nadu and the Congress-led government in Kerala must eschew rabble-rousing and sit across the table to work out how best a new dam can be constructed or the old one strengthened adequately to Kerala’s satisfaction while protecting Tamil Nadu’s interest and allaying its fears. Egyptians exercised their right of franchise on Monday for the first time in an atmosphere free from fear of any kind. Enough enthusiasm to have a democratic set-up could be seen in the large turnout of voters at most places. They did cast their votes earlier too during the Hosne Mubarak era, but the result was a foregone conclusion. The elections were rigged and Mubarak was declared the winner. Now no one can be sure who the winner will be. The first phase of voting has been held in a peaceful manner, and it is hoped that the remaining phases too will conclude in this manner. Once the people send their representatives to the Lower House of Parliament, there will be another election for the Upper House and then for the President of the country. By coming July the electoral exercise is scheduled to be over. It is believed that the Muslim Brotherhood, a well-knit party of Islamists, will emerge as the largest group in the Lower House. But some secular parties too have a vast following and may win a considerable number of seats. They are likely to form a coalition interim government which will concentrate on writing a secular, democratic constitution for Egypt. The coming together of Islamists and secularists will ensure that the constitution reflects the aspirations of all sections of society. These two political forces together mobilised people to hold massive demonstrations at Cairo’s famous Tahrir Square, leading to the fall of the Mubarak regime in February. They belong to two diametrically opposite camps, but they fought together for a common cause and got large-scale support from the Egyptian masses. Their fight is still on, as there is the fear that the top military brass may create obstructions in the emergence of a truly democratic form of government. That is why demonstrations are being held again to demand that the remnants of the Mubarak regime — represented by the army chief, Field Marshal Hussein Tantawi, and the nominated Prime Minister, Kamal Ganzouri — must resign, giving way to an interim civilian administration led by a non-controversial person. Former International Atomic Energy Agency chief Mohamed ElBaradei is likely to be the consensus candidate for replacing Ganzouri. But the military chief is showing reluctance to bow before the people’s wishes, raising doubts about his intentions. Portfolio investment, on the other hand, can cause serious problems at the time of slump in the stock market. The volatile behaviour of investors can make the stock market go spinning in downslide, specially if the country does not have enough foreign exchange reserves to protect itself against the flying-out capital. Thus, the first aspect of FDI that needs to be appreciated is that it is a stable investment which endures with the economy in its thick and thin phases. Now we are faced with the question of this investment in the retail market and that too in multi-brand retail and with 51 per cent share-holding. It is little realised that apart from the demand and supply gap, which may be there or not, the retail market, dominated by small shops and vendors, is the major culprit in giving vent to escalating inflation in the country and it needs to be disciplined through the creation of effective competitive alternatives. Corporate food stores and multi-brand stores for other products can be the only alternative in a free economy. When farmers were hardly able to get 60 paisa per kg of muskmelon in the wholesale market recently, the vendors in Ludhiana did not lower their retail price below Rs 10 per kg. Here it is a more than 17 times margin which cannot be justified by any standard. Today, in several wholesale markets of Punjab, potato is being sold by farmers at less than even Re 1 per kg. Yet the vendor sells it at Rs 10 per kg. In a Reliance store the price is Rs 5 per kg. Just another example from the NCR — cauliflower in corporate stores sells at Rs 5.80 per kg and in the unorganised market the price is between Rs 8 and Rs 9 per kg depending upon quality. Comparative figures are Rs 6 and Rs 15 per kg for spinach, Rs 18 and Rs 25 for carrot, Rs 120 and Rs 150 for apple, and Rs 28 and Rs 40 per kg for mosambi in corporate stores and the unorganised market respectively. In fact, the unorganised market is a misnomer. It is so highly organised, in spite of a large number of vendors, that they are united to charge almost the same price for the same quality of the product. Prices may differ somewhat due to the quality differences. Even the vendors sell the products door to door at the same price. Is it not an irony of fate for producers that after investment and the tiring effort for four to six months for vegetables and for a full year for fruits, with all the production risks suffered, they should hardly receive 10 per cent and the maximum 20 per cent of the consumer price! The retailer with no risk and only with a small place advantage with least investment should appropriate 80 to 90 per cent of what the consumer is forced to pay! Here the middleman does not do any processing to convert the produce into a new product. He sells the same raw produce and fleeces both the producer and the consumer with impunity because he has monopoly through a virtual cartel of small shopkeepers and street vendors in the absence of effective competitive alternatives. The retailer in the country is such a bad conductor of the pulses of demand and supply that the benefit of high prices is not allowed to flow to the producer and that of low prices to the consumer. Breaking this unwholesome nexus will be possible only through the reduction of profit margins on the strength of a high volume of business by corporate stores in place of high margins on low volumes charged by vendors and small shopkeepers. What is true in the case of vegetables is equally true for other commodities, including food and non-food items. Thus, the corporate sector must be freely allowed to enter the retail market in the interest of producers as wells as consumers. Second, since the retail market is extensive and requires billions of dollars to provide quality services to consumers, it is essential that the necessary infrastructure must be developed to reach small producers and consumers to provide a sustainable connect. Also, modern technology and infrastructure for an efficient conduct and performance of the market are a must to efficiently operate in the domestic and international markets. Our corporates alone are not as yet in the financial and knowledge position to operate single-handed. Collaborative retail market projects can be of tremendous value for us to improve our retail market conduct to fulfil the aspirations of the consumers in the emerging economy of the country. The government in this respect has played its role very diligently and within safe margins. The mandatory provision of investment in infrastructure, including cold stores and warehouses as well as cold chains, etc, will improve not only the retail sector but also wholesale markets on a stable basis. Further, the condition of more than 30 per cent purchase of commodities from small producers is the right decision and a good safeguard. As markets develop, this provision of 30 per cent will automatically increase as producers get accustomed to and trained in quality production as demanded by corporate stores. As to the fate of small shop owners and vendors, they have their niche markets where customers are used to do bargaining and are treated on a personal level. Nowhere in the world have small shop owners and vendors gone out of business in the presence of corporate openings so far. It is a misplaced fear. The only change that has occurred so far is that an element of price discipline has entered into their approach, which needs to be increased significantly through the creation of an alternative competitive market on an extensive scale. One wonders why the government is restricting the spread of corporate retail and foreign direct investment to the cities having one million and more population only! It is unfortunate that opposition parties in our system of democracy are attuned to opposing any move by the government, howsoever good it might be for the public. Opposition for the sake of opposition is not good for any stakeholder. But who listens to logic in a vote-bank-oriented polity! The writer, a former Vice-Chancellor of Punjabi University, Patiala, is a well-known agriculture economist. The Indian co-passengers in the plane showed their extreme amazement at my wife accompanying me to a place like Thailand. Earlier also friends suggested me to go to that place alone if I really wanted to ‘enjoy’ its pleasures. They all seemed not interested at all in the beautiful coral beeches and islands of that country. I just shrugged and laughed off their suggestions. I enjoyed my stay in Thailand and brought back home many cherished memories. The question regarding the lower value of the Indian currency continued itching me. On our way back, seated next to me was an American gentleman visiting India for the first time. Our mutual curiosity to know about each other’s country got us in conversation mode and made us know many unknown facts. To my amusement and amazement, he enquired about the “Patiala peg”, famous even in the US. I told him that Patiala was the name of a famous town in Punjab. His instant reaction to that was, “the people of that town might be heavy drinkers and hence the Patiala peg”. I explained to him that, no doubt, “Patiala peg” denoted a heavy and large peg, but it had been named so after the large-hearted people of Punjab. The large peg matches perfectly not only the big hearts of the people but also the vast and vibrant culture of this state. Our flight was denied permission to land at Delhi airport due to foggy conditions and after flying over the airport for some time it was finally diverted to Lucknow where we landed at 11 p.m. The whole night we were in the aircraft. The weather had cleared in the morning in Delhi, but due to certain other hassles of permitted flying hours of the crew and fuel-filling formalities, we were not allowed to take off for the national Capital. The inconvenience started brewing up with the passage of time and repeated requests started pouring in the pilot’s cabin for doing the needful to get us back to Delhi. Lucknow airport officials seemed totally indifferent and behaved as if some unwanted guest had arrived at odd hours. They blatantly showed their helplessness. The passengers were not even allowed to have a stroll outside to stretch their stiff limbs. It was around 12-30 p.m. now and nothing positive and hopeful seemed to be coming out. Suddenly, the American sitting next to me appealed in a loud voice to the crew that American Embassy officials should be informed that an American citizen had been going through this ordeal for the last 15-16 hours. He was confident that within half an hour action would follow. He uttered these words with such conviction that the passengers, instead of approaching the crew, started making requests to that American fellow to pursue the matter as requests to the Indian airport officials seemed to be falling on deaf ears. The helplessness and that too on Indian soil was pinching me badly. I asked myself why I did not have the same trust in my country’s system and administrative machinery. I started getting answers to all my silent queries regarding the value of my currency and hoped that the trust and bond with my country would get lifted from slogans, rhetoric and self-proclaimed whims along with the value of the currency of my valued nation. Glaucoma is a disease that affects the optic nerve of the eye and is characterised by shrinkage of the field of vision. In India, 11.2 million people are estimated to be affected by the disease, with 1.1 million rendered blind. Worryingly, almost 90 per cent of glaucoma in the community is undetected, because in most cases, there are no symptoms until the person experiences loss of vision. That is why glaucoma is also referred to as the sneak thief of sight. When we are looking at an object, the expanse of vision that we are able to see all around the object without turning your head is called the field of vision. Over time, glaucoma can lead to partial loss of vision or even complete vision loss, if not treated appropriately. Damage to the optic nerve cannot be reversed, so vision once lost because of glaucoma cannot be regained. In Telugu, glaucoma is known as neetikaasulu and in Hindi glaucoma is referred to as kaalaa moti. Though glaucoma can affect people of all ages, it is more common in people above 40. Shivaraj was a 66-year-old man, who had blurriness of the vision for five to six years. He, however, was postponing visiting an eye doctor thinking that this was due to the cataracts developing in his eyes. When he eventually consulted his eye doctor, his IOPs were 32 mm Hg in both eyes and the doctor also noted that his optic nerves had been severely damaged in both eyes because of glaucoma. His visual fields showed more than 90 per cent damage in both eyes. His doctor immediately started him on medications to reduce his eye pressures. Though his eye pressures were controlled well with the treatment, the damage that had occurred to his optic nerves and his vision were not recoverable. Sharadamma was a 50-year-old woman, who went to an eye specialist after she had difficulty in reading. During the course of the check-up, the specialist found that her IOPs were 45 mm Hg in the right eye and 15 mm Hg in the left eye. Optic nerve in the right eye was severely damaged but was healthy in the left eye. The drainage channel for the fluid within the eye was completely closed in her right eye and was partially closed in her left eye. She had the closed-angle type of glaucoma. Her doctor immediately performed the laser treatment to make an alternate channel to release the accumulated fluid. After the treatment, the IOP reduced to 24 mm Hg in her right eye and it was further reduced to 14 mm Hg with the help of medications. After treatment, the drainage channel in her left eye never got closed. Glaucoma can occur due to a variety of reasons ranging from use of steroids to eye injury to complications after an eye surgery. Glaucoma can also be hereditary and be passed on from parents to children. The resulting damage to the optic nerve may be sudden, or may occur over time, gradually. As discussed, in most cases, there are no symptoms until the person experiences loss of vision. Though there are various risk factors for the development of glaucoma, the most important treatable risk factor is the increased pressure inside the eyeball, which is called intraocular pressure (IOP). A normal IOP in healthy humans ranges between 10 and 21 mm of mercury. Glaucoma, though synonymous with high IOP, can develop at normal levels of IOP, too. Glaucoma can only be detected when a complete eye examination is done by the doctor. The complete eye examination includes a slit-lamp biomicroscopic evaluation to examine all structures of the eye, IOP measurement using an instrument called tonometer and an examination of the status of the drainage channels of the eye, using an instrument called gonioscope. Glaucoma is classified into open-angle variety and closed angle variety depending on the status of the drainage channels of the eye. This is important because the treatment and the future course of the disease might be different depending on the type of glaucoma. Field of vision is assessed using an instrument called Humphrey's Visual Fields analyser. Glaucoma is usually treated by drops, which help to control the IOP. Sometimes, laser treatment may be administered to decrease the IOP, which is particularly so in cases of closed angle variety. 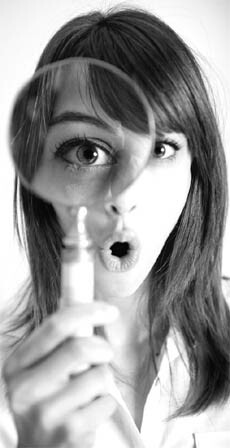 Many glaucoma patients achieve good control of disease with the regular use of eye drops. If the drops are not successful in maintaining the eye pressure, then trabeculectomy surgery will be required for its control. 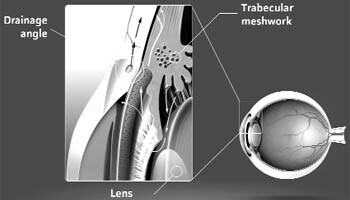 Trabeculectomy surgery involves making an alternate pathway for the fluid to go out of the eye. Surgery is not a cure to glaucoma and it is extremely important to undergo checkups regularly even after the surgery. If glaucoma is detected early, then vision loss can be avoided, or delayed. It is extremely important to have complete eye examinations regularly, particularly so if somebody has a family history of glaucoma, high blood pressure, diabetes or has injured the eye. Remember, glaucoma is an eye disease that can make you go blind. If you are diagnosed with glaucoma, it is important for you to undergo lifelong treatment. Regular treatment helps to prevent progression of glaucoma damage and thus protects your vision. One should always ask the eye doctor all the questions and doubts one may have. Staying informed can help one tackle glaucoma, the 'sneak thief of sight'! Childhood glaucoma is associated with physical changes in the eye, which are caused by the high pressure. The increased fluid pressure can push on the optic nerve and cause cupping (an abnormal enlargement in the optic disc area). If the pressure remains too high for too long, the optic nerve fibres are damaged. Enlargement of the eye, cloudiness of the cornea and injury to the optic nerve are examples of changes that can occur as a result of glaucoma. Childhood glaucoma occurs in one out of every 10,000 births in the US. In other parts of the world, even higher rates have been reported. For example in Saudi Arabia, the incidence has been noted to be as high as one out of 2,500 births. According to APEDS, it occurs in the 3,300 live births. Isolated or primary congenital glaucoma accounts for approximately 50 per cent to 70 per cent of all cases of congenital glaucoma. Most cases of paediatric glaucoma are diagnosed by the age of six months, with 80 per cent diagnosed by the first year of life. In diagnosed cases, about two-third of the patients are male. In about three-fourth of all cases, the glaucoma affects both (bilateral). It has been estimated that approximately 300,000 children have been afflicted with developmental glaucoma the world over.